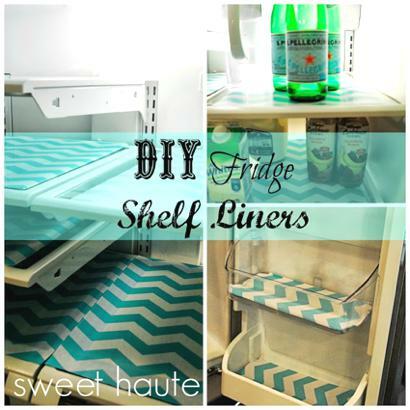 Sweet Haute has come up with an interesting idea for making your own refrigerator shelf liners out of placemats. As fas as shelf liner ideas, this is easy and quick – and not too expensive, as you can probably find some placemats you like at your local 99 cent store, or other stores that offer such products at a deep discount. You might even be able to use some of the placemats you already have on hand. That would be a great excuse to be able to go get some new ones! We like the fridge shelf liners not only because they add some pizazz, but also because they can make cleanup a bit more easy.